With a bit of planning prior to our Seoul trip, we were able pack our short trip with authentic Korean BBQ, Bibimbap, Samgyetang, Korean Fried Chicken, a fabulous traditional Banga meal and a lunch at the Noryangjin Fish Market. 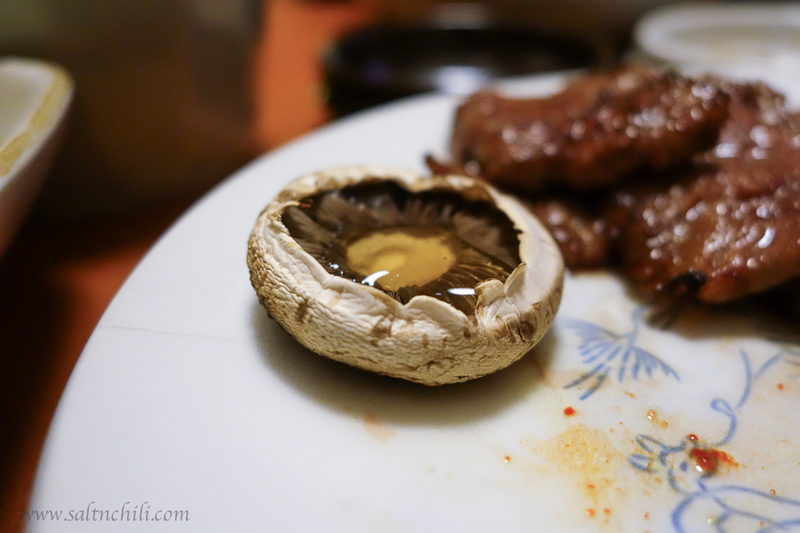 We had so many great meals in Seoul, it was impossible for me to share all of them in just one post. So, Seoul Eats will be be a 4 part series. 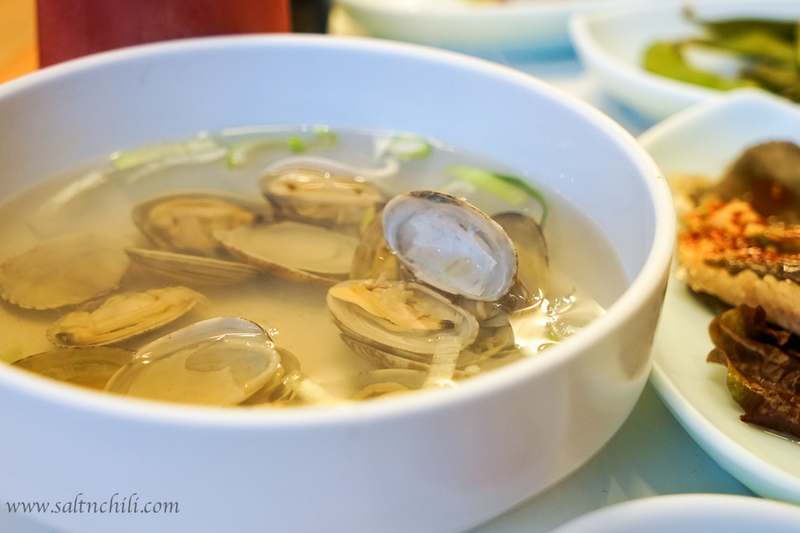 I’m unsure why the Koreans say hot Samgyetang (Ginseng Chicken soup) is for hot summer days. With the temperature dropping below 0°C during our visit I thought it was the perfect comforting meal to warm ourselves up. Tosokchon has a reputation of serving the best Samgyetang in Seoul and known to be frequented by the late President Roh Moo-hyun. Be prepared to wait in a queue that wraps around the Hanok-converted restaurant. Not to worry though, the queue looks worse than it actually is. The line moves fairly quickly and we got in with a 25 minute wait only. Believe me, it is well worth the wait. We got the Ginseng Silkie Chicken and Ginseng Black Chicken which both came with a small bottle of ginseng to sprinkle into the soup (yup, you’re each suppose to get your own bowl). The soup was rich and intense with a strong ginseng presence. The chicken itself was tender and even the glutinous rice was full of ginseng flavors. Delicious. Plan your day to visit Gyeongbokgung Palace (if you want to see the Changing of Guards Ceremony) and/or Changdeokgung Palace (if you want to see the Secret Garden) and a lunch at Tosokchon and an afternoon walk around Bukchon Hanok Village afterwards. Tosokchon is walking distance from Gyeongbokgung Station. 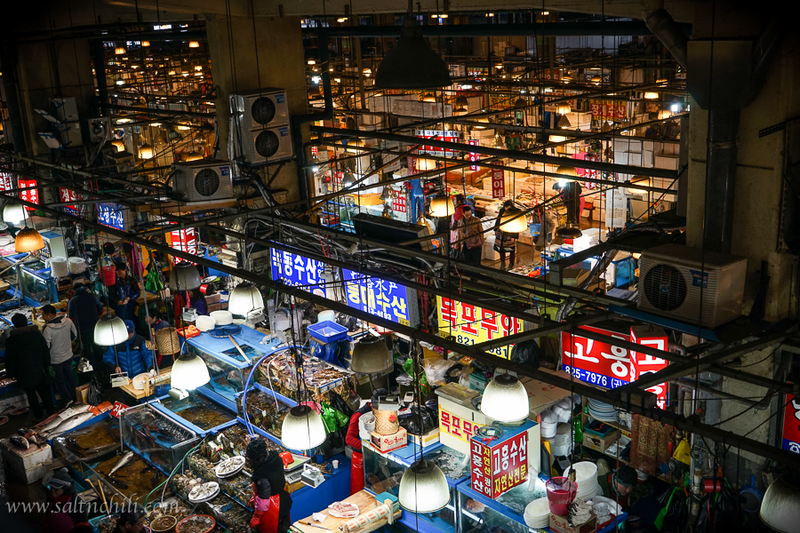 Known as the Noryangjin Fisheries Wholesale Market, it is one of Korea’s largest seafood market. They don’t only offer wholesale purchases, retail is also available. Many tourists and locals will purchase the seafood from the stalls and bring it to their choice of restaurant (located in the upper level of the market) to have the seafood cooked to their preference (steamed, fried, stewed, etc) or even served raw. As we made our way through the maze of seafood stalls, we observed all types of seafood: oysters, salmon, sea urchins, crabs, octopus and much more Hubby was a bit squeamish with all the raw seafood and was unwilling to be adventurous and try the live octopus eaten sashimi style. We ended up not choosing our own seafood from the market, but picked a restaurant at random and ordered their seafood set menu where we promised to sample a variety of fresh seafood. We weren’t impressed with our meal at all. The seafood dishes were all mediocre at best and there wasn’t as much variety as I had hoped. It was my first time trying Korean sashimi (Hoe or pronounced as Hwe) and I made the mistake of anticipating it to be similar to Japanese sashimi. I’ve later learned that it shouldn’t be compared to the Japanese version. Koreans prepare their sashimi with different types of fish and they like to eat it very fresh, which I’ve read online, results in the a chewy texture. Not my cup of tea. The Korean couple that sat next to us was savoring a big pot of crab stew, which I secretly wished we were having. It looked soooo good. If you go to this Fish Market, I recommend you purchase your own seafood and have it cooked the way you prefer. It was definitely a mistake on our part to pick a random restaurant and try their seafood menu. 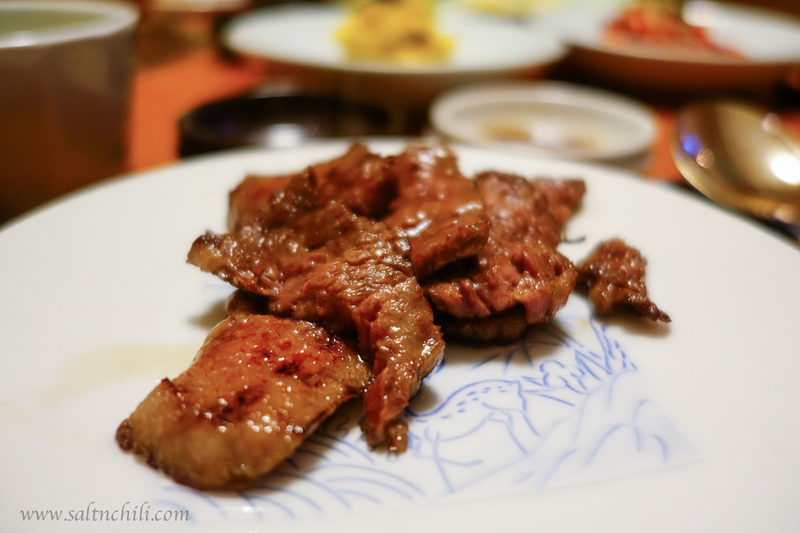 Hubby is obsessed with Korean barbecue, so we made an effort to find a fine dining galbi restaurant serving high quality Hanwoo (Korean beef) for our last dinner in Seoul. 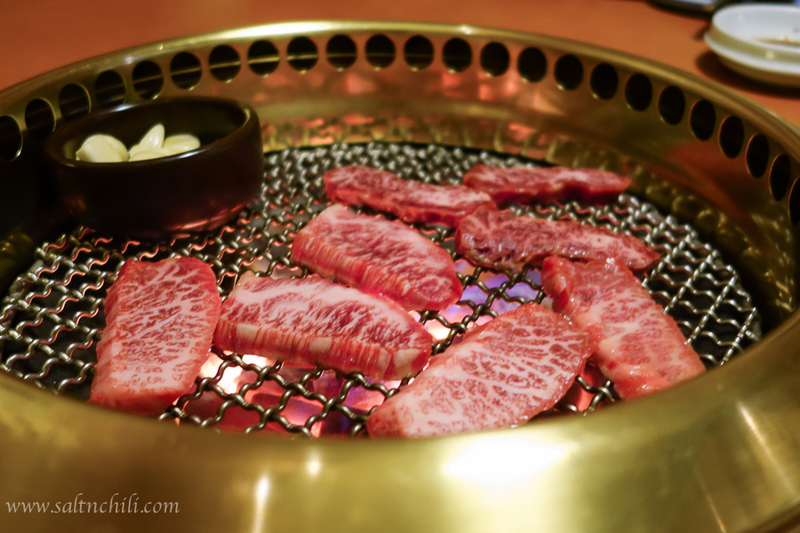 Along-side some tender-melt-in-your-mouth Korean Prime Beef Rib Steak, Byeokje served some high quality side dishes. 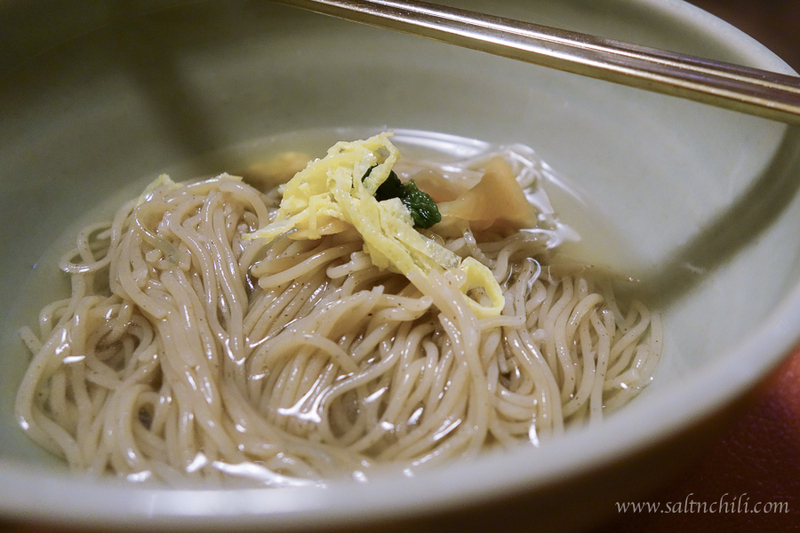 We also ordered a small Pyongyang Style Cold Buckwheat Noodles which was refreshing and a great way to balance the barbecue meal. Byeokje Galbi have a few locations in Seoul, and our hotel helped us reserve a table at the one in Bangbae-dong. This was definitely a pricey meal, but the quality of the ingredients are really top-notch – you really get what you pay for. Between Samwon Garden and Byeokje Galbi, hubby and I both prefer Byeokje. Note: We ordered much more beef than I’ve shown in the photos here. 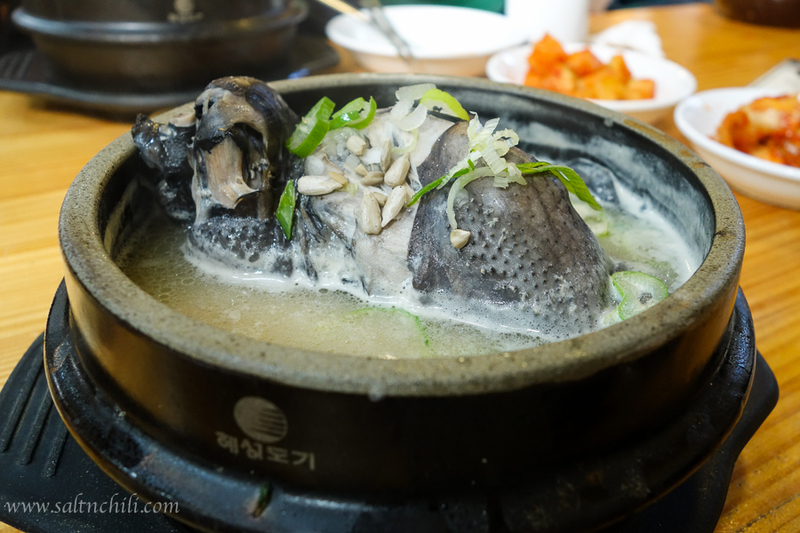 Missed Part 1 of Seoul Eats? Check it out here.